As short days and cool breezes give way to summer’s heat, you must rely more on your vehicle’s air conditioning system to keep temperatures down and comfort levels up. That sweet, cold air usually provides quick relief, unless the system isn’t working optimally. 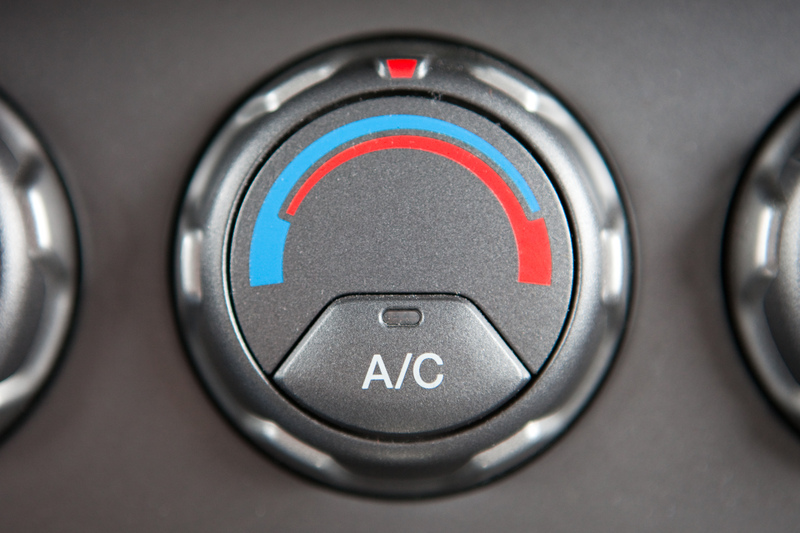 When you turn on the A/C, cold air pours from the vents, cooling the cabin temperatures and dropping humidity levels. If something’s wrong, a number of less cool things might happen instead, such as warm or hot air blowing from the vents, water pooling on the carpet, or funky odors filling the car. Any one of these vehicle symptoms could signal a problem with the A/C system, so here’s how to recognize and fix the issue. Attempting to judge air temperature using just your senses can be a tricky and highly inaccurate endeavor. You might believe the air should be colder. Meanwhile, your passenger a mere 18 inches away, is freezing, closing vents, and trying to stop their teeth from chattering. So before you jump to the wrong conclusion, remove guesswork from the equation and answer the temperature question objectively—measure it with a thermometer. Most vehicle experts agree that an ideal range for the air flowing from your vehicle’s vents when the A/C system is functioning properly is approximately 40 to 45 degrees Fahrenheit. An automotive air conditioning thermometer is the best way to get this measurement. It’s available from any auto parts store or online and features a dial face and long metal probe ideal for inserting into the vehicle’s heating and cooling system vents. Start the vehicle—wait for a warm day to do this. Then turn the fan on high and the A/C temperature on its coldest setting. Make sure the “recirculate” button is off so that fresh air is being pulled into the vehicle from the outside. Insert the thermometer into one of the vents, wait a minute or two, and read the temperature. If it’s within the recommended temperature range and remains there, the system is working properly. If the air temperature is outside the recommended range, there could be a problem. With some help from a passenger, try taking the temperature again, this time while the vehicle is being driven and see if the results change. If there’s a problem, you’ll need to first try recharging the A/C system and sealing any leaks by adding some refrigerant and sealer. If you’re not comfortable with DIY, this is when you’ll want to consult your technician. If you’re going the DIY route—which we’d only recommend to those comfortable under the hood—you can purchase a product that includes a refrigerant to recharge the system as well as oil that seals any A/C system leaks through which the refrigerant might be escaping. Whether you seek professional help or tackle it yourself, this step will recharge the system with more refrigerant to restore colder, drier airflow; seal leaks on hoses, gaskets and O-rings; and add anti-wear additives to improve performance and system life. This is often the quick and easy solution to your A/C problem. If there’s still something wrong, it’s definitely time for some professional trouble-shooting. When it’s working properly, the A/C system generates condensation that drains through the drain tube outside the vehicle. Problems arise when the A/C drain line becomes clogged with algae, dirt or debris and water can no longer flow through it. That moisture still has to go somewhere, and the path of least resistance is onto your vehicle’s floor—either as a puddle or some dampness under the floor mats. This continual moisture presence will eventually lead to mold and mildew, destroy the carpeting, cause odor, and possibly even damage vehicle electronics and the vehicle’s body. An easy way to see if your vehicle’s drain line is clogged is to turn on the vehicle and run the air conditioning. Wait a few minutes and then look under the front of the vehicle. You should see water dripping from the engine compartment area and accumulating on the ground. If you don’t, chances are the drain line is plugged. Luckily, solving this problem is usually a quick and easy fix, whether you’re doing it yourself or having your trusted technician perform the work. After locating the drain line underneath the vehicle, compressed air is blown into the line’s opening, dislodging the blockage and allowing the water to flow freely again. Your vehicle’s A/C system is a dark, moist place, making it the perfect breeding ground for mold, mildew, and fungus. Those uninvited inhabitants’ presence can generate offensive odors that are noticeable whenever the air conditioner is used. In addition to being unpleasant, the contaminated air could aggravate allergies and respiratory issues in passengers with sensitivities to molds and mildew. Fortunately there are several solutions to eliminating the source of the odors. A variety of A/C odor-eliminating products are on the market today. These aerosols work by killing microbes that may be lurking in the A/C system, coating the internal system to discourage future microbe growth, removing moisture, and providing a pleasant fragrance. Most of these products are simply sprayed into the air intake vents outside the vehicle, where the front windshield meets the hood. With the air conditioning on, the fan on high, and the “recirculate” button in the off position so fresh air is being pulled into the vehicle, spray the product according to directions. At the same time, another potential source of odor could be a dirty cabin air filter. Usually located inside the vehicle, behind or underneath the glove compartment, the cabin air filter is designed to clean and filter outside air before it enters the vehicle. If the filter is dirty or clogged with debris, it can’t do its job. Simply replace the filter to fix the problem. This is some great information, and I appreciate your suggestion to measure the temperature of your car AC to see if there are problems. I feel like my air conditioner isn’t working as well as it used to, but I’m not certain. I’ll definitely look into testing it with a thermometer, and if it’s running warmer than typical, I’ll definitely take it in for repair. Thanks for the great post!